Oxygen free radicals are known to be partly responsible for tissue necrosis in free skin grafts. This was shown by the positive effect of radical scavenging agents, such as allopurinol (Im et al., 1984) and superoxide dismutase (Manson et al., 1984; Sagi et al., 1986) on the survival rate of island skin flaps. The reported results, however, are difficult to interpret. 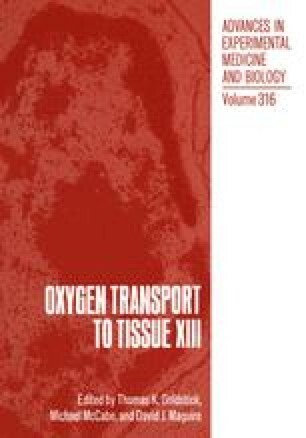 Anoxia (Tan et al., 1984), inflammatory reactions (Sasaki and Pang, 1981), such as the respiratory burst (Fantone and Ward, 1982), and enzyme leakage from cells (Blake et al., 1987) may contribute to a variable extent to tissue damage after transplantation. Allopurinol may act as a direct superoxide and hydroxyl- scavenger rather than as a xanthin oxidase inhibitor (Moorhouse et al., 1987). Superoxide dismutase reduces the amount of superoxide anions, but even more reactive species, like the hydroxyl radical and hypochlorite acid, can be formed from the resulting hydrogen peroxide. In addition, the commonly used pedicle flap has to be subdivided at least into a lip area and a central zone, which includes the pedicle, due to different oxygen availability. We used a free flap model, which shows no different areas. To rule out anoxia and enzyme leakage as contributing factors, we focused on lipid peroxidation measured by the biochemical method described below rather than by rate of tissue necrosis.